Galbraith announces key promotions to Partner and Senior Associate, recognising the commitment and professionalism of its staff. The firm is at the same time completing its merger with Land Factor, expanding Galbraith’s presence and range of services in the North of England. We are delighted that our employees, through their ability and achievement, are progressing within our business. The expansion of the partnership and the promotions announced today reflect our commitment to staff progression in our growing organisation. At Galbraith, our success is based on good communicators with expert skills over the full range of property services, encompassing rural, residential, commercial and estate management advice. In addition, we have today (1st April) finalised our merger with Land Factor. Both firms currently operate across the border, and joining forces enables us to provide enhanced services across a wider geographic area. Our combined skills and coverage will deliver great benefit to clients. The following promotions and appointments have been made. This is a hugely exciting time at a period of expansion and development of Galbraith as we link our services in South West of Scotland and Northern of England. I look forward to working closely with my new colleagues to identify further opportunities and to grow the geographical range of services we can provide to our clients, current and future. The promotion of David Corrie builds on the announcement of the merger with Land Factor. There will be significant business development opportunities linking the offices in the Borders and South West Scotland with the new Galbraith offices in Hexham and Penrith which will be particularly important to the growth of our Estate Agency and valuation business. David will be integral to this process with his multi-disciplinary skill set. I am delighted to be joining the Galbraith partnership and taking on a senior role in the commercial department and our wider business. We established the investment department only two years ago, but we have built strong market coverage and have concluded a number of very significant transactions on behalf of our broad spectrum of clients. Scott Holley has a diverse range of experience within the rural and residential property market in Perthshire. Hailing from Yorkshire and having previously worked in central London and Moray, Scott has built up the knowledge and expertise to help clients safely navigate the transactional environment and achieve strong results in any market. Paul Schofield joined the firm’s forestry department in 2015 and his skills are deployed primarily on behalf of clients in central and southern Scotland. With 17 years’ experience, he has successfully planned and implemented all types of forestry activity, from woodland establishment to harvesting operations in a wide range of scenarios including mixed estates, upland plantations and native woodlands. The forestry team at Galbraith has expanded considerably in recent years and the merger with Land Factor, which is particularly strong in both estate consultancy and forestry, will further strengthen the firm’s forestry expertise and offering. Land Factor operates throughout the North of England and Southern Scotland. 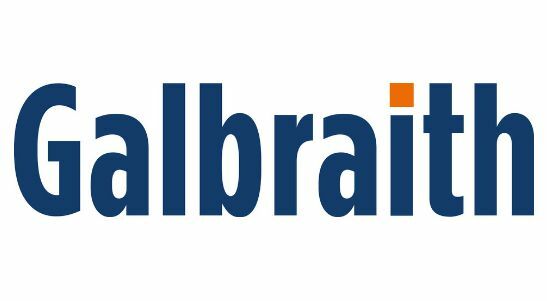 Its services, including estate management, capital tax planning, farm sales, valuation, project management and forestry advice, are all continuing under the Galbraith brand. Athole McKillop, Peter Combe and Roddy Findlay join the Galbraith Partnership, Tom Warde-Aldam will join as a Consultant Partner and Matthew Williamson will join as Senior Associate.